When the iPhone 7 was first released, the popular color option by far was Jet Black. It was very hard to get your hands on one when it was first released. 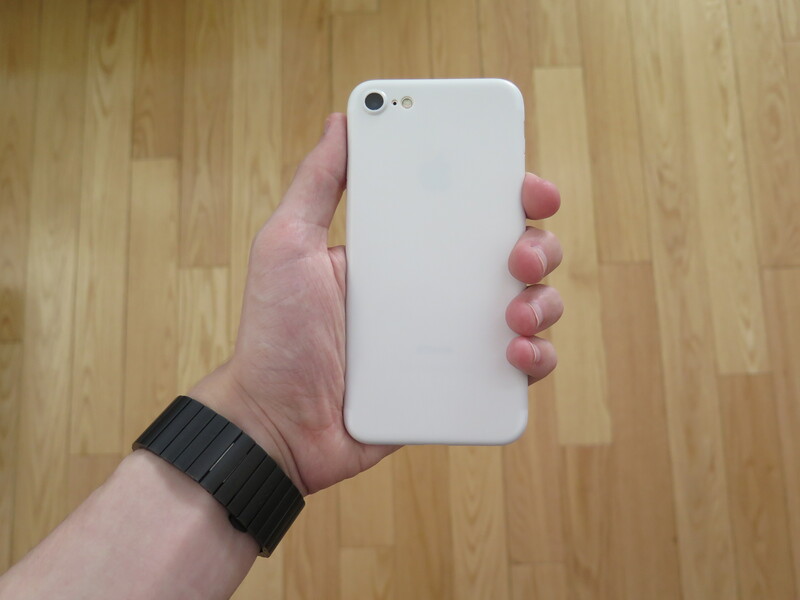 Following its success, it was rumored that Apple would release a “Jet White” color finish for the iPhone 7. More recently, we got red as a new color option, making it seem that a glossy white color option will be featured on the iPhone 7S if Apple decides to use it. If you want to make your phone have that beautiful glossy white finish, you should definitely check out Totallee’s new minimalistic case. My first thoughts on The Scarf case were good. Just like the case that it holds, the packaging is very minimalistic. It includes a small card the features a signature declaring that your case was carefully packed and inspected. You can then unzip the bag to reveal your new iPhone 7 or iPhone 7 Plus case (or rip it open, if that’s your style.) 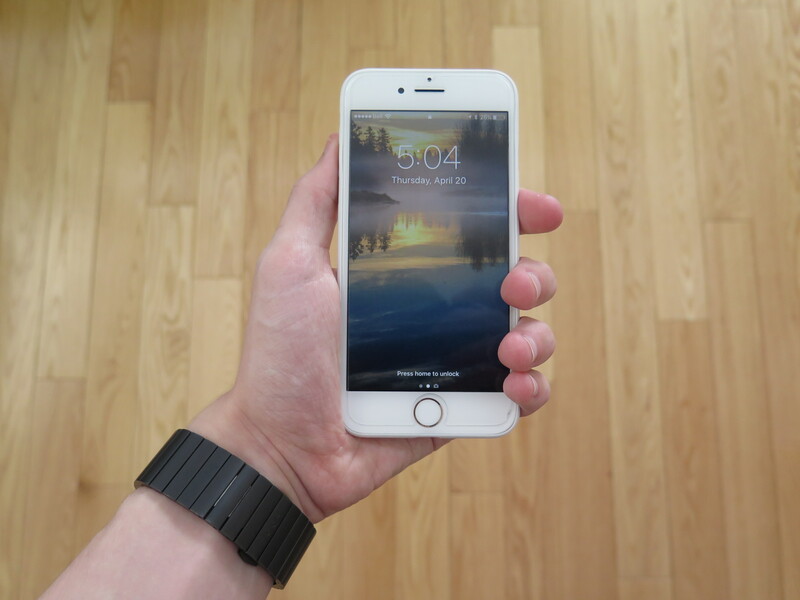 Once you put your phone into the case, something that immediately stood out to me was how light my phone felt. I had a pretty lightweight case before, but the Scarf made it seem like seem like it wasn’t in a case at all. The Scarf is just 0.02″ thin, and 0.01oz light. In other words, it’s nothing. The only way I noticed that I had it in the case was because it’s plastic, compared to the aluminum back of the iPhone 7. It still feels good though. It reminded me a lot of the iPhone 5C. 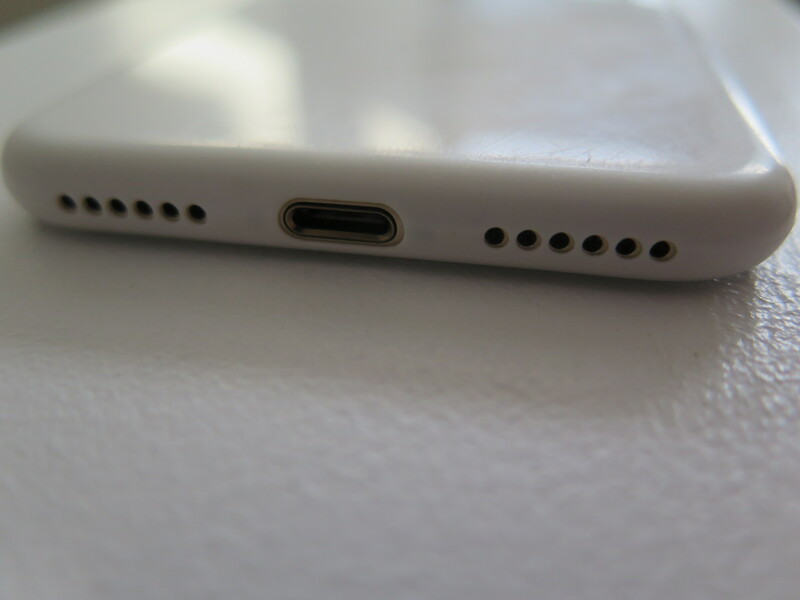 It’s a tab bit transparent; if you look closely enough, you can see the Apple logo and “iPhone” text. You can’t see it from a distance or with a quick glance however. 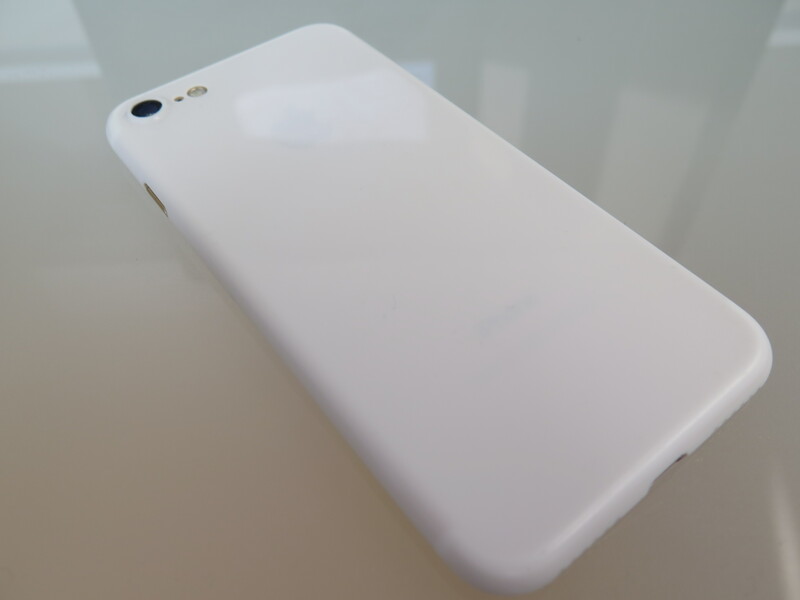 When compared to the Jet Black finish, the Jet White case isn’t as reflective. I found it was good at reflecting when it was in view of a light source. Having it less reflective does have benefits, however. Most notably, it’s much harder to see fingerprints and scratches. It is visible, yes, but you have to view it at a certain angle and have the right light. Most of the time, it’ll still look as good as when you first got it. The real beauty of this product in my opinion, is not the color, but rather just how thin it is. Many people don’t like having their iPhone 7 in a case, but they can’t risk going without one. It’s all too easy for the aluminum back to scratch from daily use, such as being in a pocket, on the table, and from small drops. The Totallee Scarf doesn’t protect your phone from huge drops and hammers, but if you take good care of your iPhone, this case is for you. It is important to note that it doesn’t have a lip around the screen as most cases do, protecting it for when it drops screen first. It allows you to appreciate the light, thin, simplistic design of the iPhone, while at the same time protecting it, maintaining its beautiful look, which will come in handy incase you decide to sell it to upgrade. 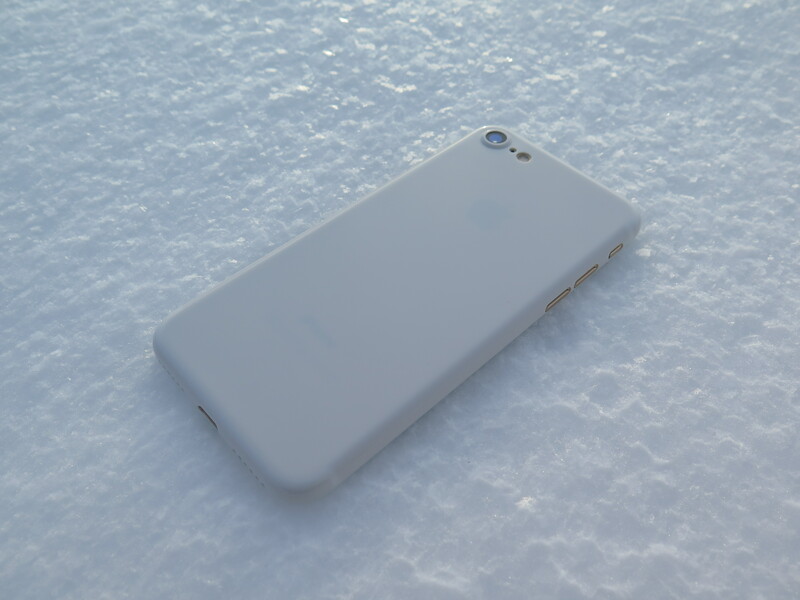 The Totallee Scarf case for the iPhone is the perfect case for people who hate cases. 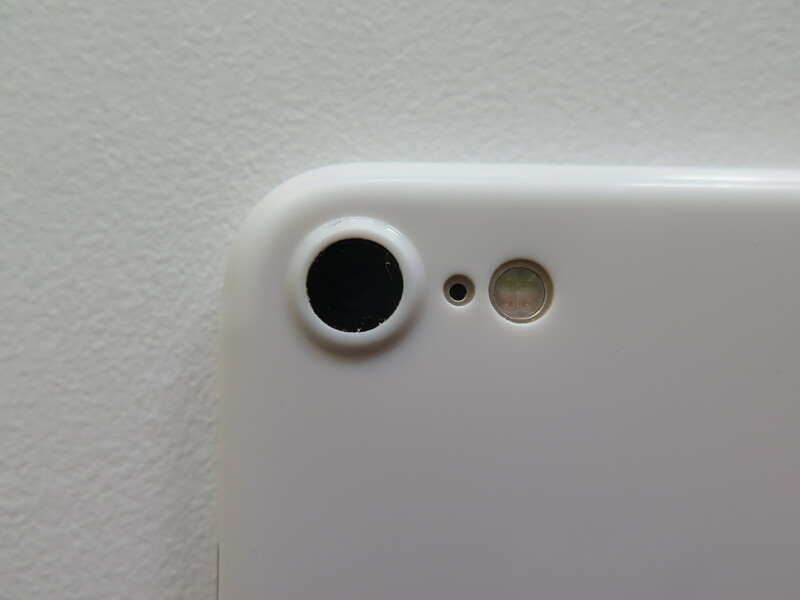 It has a keen attention to detail, even protecting the camera bump on the iPhone 7, and having precise cut outs for each individual speaker hole. If Jet White isn’t your style, the Scarf is offered in other colors, including Frosted White, Matte Black, Jet Black, Grey, Navy Blue, Burgundy Red, and Deep Green. With a price tag of only $19, and a 2 year warranty, I can definitely recommend the Totalle Scarf to anyone looking for a beautiful minimalistic case for their iPhone 7 and iPhone 7 Plus. You can buy it over at Totallee’s official website. How do you like the look of Totallee’s Jet White iPhone 7 case? Do you own one? Let us know your thoughts in the comments section below!